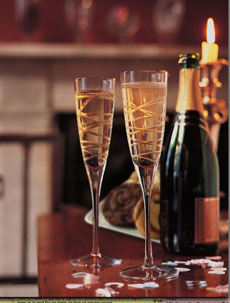 Tomorrow is National Champagne Day (appropriately, it’s New Year’s Eve). Most people bring a bottle of Champagne as a gift to New Year’s Eve parties. Add a book about Champagne, and your gift will be remembered long after the bubbles are gone. See one of our favorite books on Champagne. Photo courtesy Sugardaddy’s Sumptuous Sweeties.